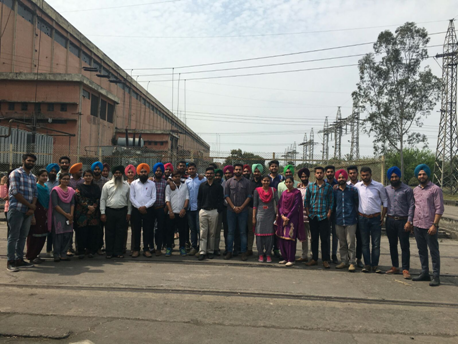 A total of 40 students from B.tech 6th Semester(6EE2) and M.tech Power System along with Prof.Ranvir Kaur,Prof.Mandeep kuar Virk,Prof.Manpreet Singh and S.Charanjit Singh got an opportunity to visit Guru Gobind Singh thermal power plant , Roopnagar on 9th March , 2016.Guru Gobind Singh thermal power plant(Coal Based) , has an installed capacity of 1260 MW comprising of 6 units with 210 MW each. The first unit was commissioned in September, 1984. During March 1985, the second unit was commissioned and in later years four more units were added. The station received the Incentive award for reducing fuel oil consumption in 1999. The station also received the Shield and excellent performance by Prime minister of India during 1986-87 for achieving 70.08% PLF against then 53.2%. The plant has its source of water supply from Nangal Hydel Channel. 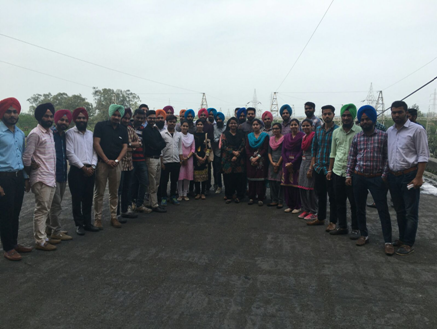 It explore various areas in the field of Generation and bridge the gap between theory and practical.